Posted January 22nd, 2019 by dio. Categories: Experiential Marketing, Marketing Strategy. Hey, what you lookin’ at? Our understanding of the world and our environment is experienced through senses, and each of the five senses has its own way of impacting how people process what is in front of them (including brands). When you provoke natural reactions from your audience based on their senses, you’re able to breakthrough in new ways. We’re believers in multi-sensory experiential marketing design. (That’s why we recently published a guide on multi-sensory marketing!) Each of the physical senses plays a critical part in shaping an experience – and shaping one’s feelings toward a brand or product. Let’s dive deeper into the science of sight in experiential marketing design. Take a look around you. According to the Visual Teaching Alliance, 90% of the information transmitted to your brain is visual. When it comes to branding, you think about logos, color schemes, fonts, mascots, icons, packaging, etc. 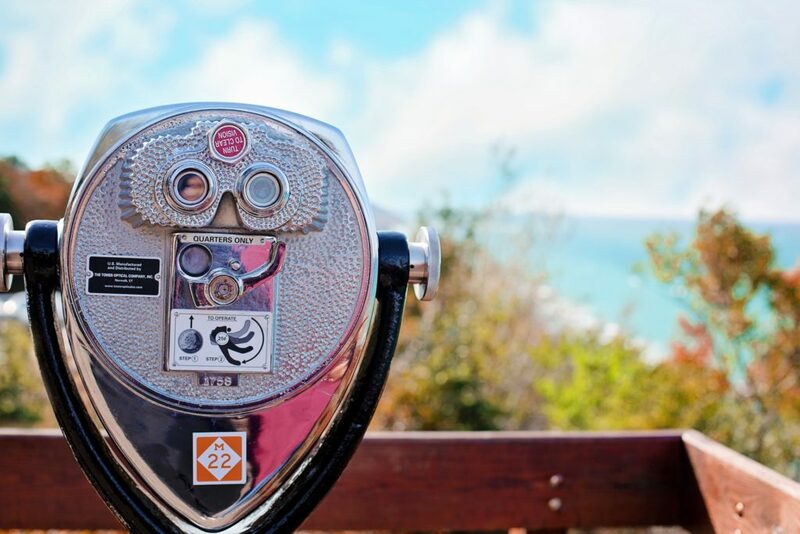 All of those are visual cues that shape your perception of a brand. “When people hear information, they’re likely to remember only 10% of that information three days later. However, if a relevant image is paired with that same information, people retained 65% of the information three days later,” writes Dr. John J. Medina, a developmental molecular biologist and New York Times bestseller author of Brain Rules: 12 Principles for Surviving and Thriving at Work, Home, and School. But sight goes a bit deeper than what our brain’s visual centers are seeing. Through the neurological effect called mirror neurons, our brains react similarly to watching something happen as if we were doing it ourselves. When you’re watching a movie, you can sense the character’s emotions. And when you see your friend’s Instagram picture from the beach, you can smell the salt water. You’re going to be much more likely to tap the heart on their picture rather than if they posted a paragraph explaining their trip. The visual is dimensional and is more meaningful and relevant to you. Reach your audience through multi-sensory brand experiences which activate the senses to promote stronger brand-to-consumer connections. So what does this all mean for your experiential marketing campaign? Branding at your live event should be woven into the overall experience. Don’t just use generic elements with your logo slapped on. Find subtle ways to incorporate your branding throughout. You want your visuals to be noticed and remembered but also to further connect your brand to your audience on an emotional level. At the Experiential Marketing Summit in May 2017, Helen J. Stoddard of Twitter advised that if you can strip your logo off of the branded elements within your experience and replace with your competitor’s logo, then you haven’t created a unique experience. You haven’t told your story. It’s just an experience, it’s not your experience. Every visual piece throughout the campaign must make sense for your brand – with or without the logo. Visual cues are very powerful. That’s why sight in experiential marketing design is one of the first things you need to consider. reaction you desire from your audience. Of course, there a variety of ways to achieve this. You may want to “blend in” to the environment to create a natural flow into your brand experience. Or, you may want to create a wonder-filled footprint that drastically stands out for greater attention. Sight in experiential marketing is the sense most relied on for capturing the activation on social media. After all, social media and experiential marketing go hand-in-hand. If you want to create an Instagrammable moment, you have to consider how the images will look within the user’s Instagram feed. The visual details matter. The visual design of your event could also benefit the brand in the larger picture. Can photography from the event help your content marketing team? Your experience could extend into print ads, social media posts and billboard artwork. One brand experience can generate content for the entire year’s plan. Even though the visual aspect of a campaign is incredibly important, visuals alone are often not enough anymore. People are becoming desensitized to advertisements and are tuning them out, so it’s essential to incorporate visuals into a deeper experience that creates more of an impact. It’s also important to work with an art team who understands both what the brand represents and what the consumer journey should look like to create a relevant and successful visual experience. 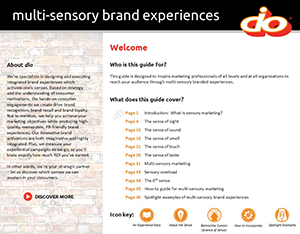 To see specific examples of how sight in experiential marketing has helped brands differentiate themselves visually, download our free guide to multi-sensory brand experiences. If you’re looking for a team of visual designers to help you at your next brand experience, set your sights on us. Enter your email address to subscribe to our blog posts!